Most teachers and students are already back in school. Veritas Academy starts a bit later, so school begins for me on Monday morning. This must be the beginning of about the 37th year for me. I see friends and former colleagues retiring, but I have kids still living at home or in college and only enough retirement to get me through one year in a third world country. Besides, if I retired and could do anything I wanted, I would be reading, writing, and talking to people about reading and writing. Speaking about reading and now that I am writing, I have had occasion to think about books about teachers and school. I am currently reading a delightful and short book called Horseback Schoolmarm–Montana, 1953-1954 by Margot Liberty. This book is published by the University of Oklahoma Press. Margot had a car, but such conditions as roads and weather made horseback riding the best transportation. The memoirs of this first year of teaching were written by the author and then tucked away in a file and forgotten for several decades. Thankfully, she found both the account and a publisher who saw the potential of this story. There are many things about teaching that transcend time and circumstances. In other words, I found myself sharing many of the experiences this teacher had. As always, it seems, the conditions of the school and the materials are abysmal. The first year (or first 36 years) are spent consulting the materials trying to figure out how to teach. The students are at different levels. 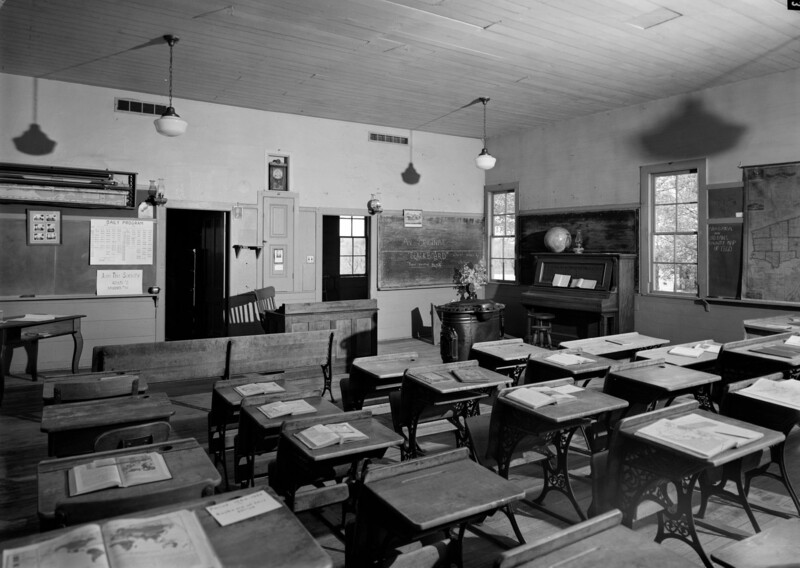 Even in a one room school, some kids were exceedingly bright, while others struggled. Parents often misunderstood or complained or compared SH School, as it was called, with other schools. The teacher worked endless hours, thought up all kinds of creative learning experiences, and really worked to impact the lives–rather than just filling the heads–of her students. Montana in the early 1950s still had a culture closely tied to the frontier. (I hope it still does.) Cowboys, ranches, cattle, wild animals, weather, and long distances still dominated that world. Margot Liberty had grown up in a different part of the country, but had visited the west enough times to know what she was getting into. As I write that, I wonder, do any of us ever really know what we are getting in to. I feel a book reviewer’s need to give the academic insights found in this book. I could mention such things as gender expectations (teachers were usually “schoolmarms”), educational methods, curriculum needs, individualized study programs, cultural themes of the western states in the early 1950s, and so on. There are lots of things that can be learned or gleaned from this book on a number of topics. However–a word which should not often begin paragraphs–the key insight, profound discovery, intellectual value of this book is that it is simply enjoyable. Certainly, teachers should love reading this book. I plan on passing it over to my wife as soon as I finish it in a few days. But it is hard to imagine anyone not enjoying this story. It may lack a little polish here and there due to having been written long ago, but that just adds to its value. In fact, to one used to modern plumbing, it is surprising how clean and pleasant an outdoor toilet can be. This revelation applies to other areas as well. The first day or two without modern conveniences, one tends to grumble and feel demoted to the dark ages. After that, the rituals of carrying water and coal, of lighting gas or kerosene lamps, or of heating dishwater become customary and provide a pleasant sense of independence. And the glow from lamps, yellow and golden, sheds a far warmer circle of light than the balding glare from electric overheads. There is a certain beauty of movement in lifting a dipper of cool water from a sparkling porcelain pail. Stepping outdoors can bring one very close to stars and storms or to the fain pulsing of a spring night wind. That passage doesn’t quite move me to remove the indoor plumbing from my house, but the book as a whole is a big help in getting back to school. I will never forget a horrifying description a well-meaning pastor gave once about heaven at a funeral. He spoke of the deceased fellow as one who always had lots of questions. “Now,” he said as a way of consoling all of us, “All of his questions are answered.” The thought that our minds would cease to wonder, cease to grow, cease to learn did not sound like heaven to me. Another horrifying thought is the brevity of life, particularly the brevity of reading time. There are so many new books coming off the presses, so many books I have accumulated over the years, and worst of all, so many classics, so many often-referenced books, so many definitive works that I have bought, shelved, looked at, dipped into once or twice, talked about in vague ways, BUT NEVER READ. I often confess to my students in our Humanities classes that I should never have received a high school diploma. I should never have received a college degree. My masters degree in education doesn’t count because it was to upgrade my payscale and wasn’t much related to education. Certainly, I should never have been hired to be a teacher. Somehow, I was able to conceal a paucity of personal reading of the classics from my employers. Strangely enough, I remember them asking a few questions and glancing at my college transcript, but they did not ask the questions that matter. “Why is Beowulf the warrior so important to understand?” “What are the factions today that Madison warned about in Federalist #10?” “What was Augustine’s philosophy of history from City of God?” I read quite a bit and that got me through years of bluffing administrators, boards, and even students. Secretly, I knocked out key books here and there and someone survived. But there comes a time to be open and truthful. There are all too many essential books that I have not read. I am currently compiling a list called “My Hall of Shame.” It hurts to admit these things, but I am hoping that with these admissions, there will be grace from my friends (who may have never suspected these things) and recovery for myself. 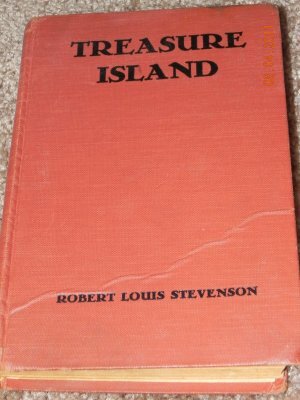 There must be 500 different editions of Treasure Island by Robert Louis Stevenson. I have yet to find my personal copy in my library or in my children’s rooms. Could it be that I had not only not read the book, but didn’t even own a copy of it? That is disgraceful. I put this book on the top of my Wall of Shame list, confessed the problem on Facebook, and repentantly read the book. Let’s dismiss it right off the bat. It is a children’s book. It has all the stock characters of a boy’s adventure, such as pirates, a parrot, sword play, a fatherless kid who gets swept away in the adventure, a fought-over map showing with an X where a treasure is buried, and more. Just children’s escape reading. Unfortunately, my advanced age and many years of adult living failed me. The book was good, and the story kept calling me back. I started out reading one chapter a day. Being near the end of July, I expected to finish the book at the end of August. Then I bumped up the reading to two chapters a day, and then three, and then I was racing toward the end. Most of the stock features in the book became stock features due to the book. It was a wonderful adventure. The copy that I read was an older edition–about the late 1950s–that looks like the picture below. It belongs to a retired doctor that is the father of a friend. I enjoyed reading it while thinking of Dr. Kendall as a young boy in Tennessee reading the book for class. Now comes the next installment on my Wall of Shame. 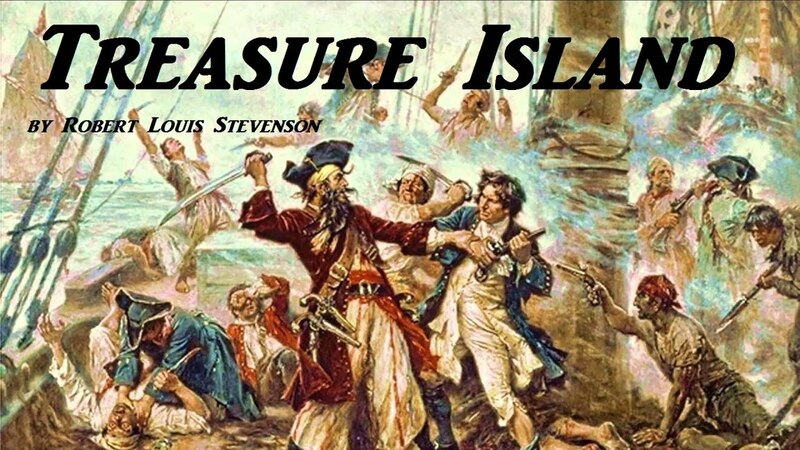 Treasure Island, although projected as a month-long read, took less than 2 weeks. This next book is projected to take a year or more. I may fail. I may only get 200 to 500 pages read. Some books, usually not novels, can be very profitable if just read in large portions, but maybe not from cover to cover. Books I have read extensively from, but not completely, are not on my Wall of Shame. But this book had not been read in part. Oh sure, I had read quotes. Certainly, I had read other authors’ discussions of it. Admittedly, I talked about the book, made my students aware of the book and author, and certainly acted like I was personally familiar with it. I was living a lie. It is like when a politician says, “I never sent classified email on my personal server.” We can give the impression repeatedly, say the words often, and convince our hearers that we are what we really are not. The book is The Decline and Fall of the Roman Empire by Edward Gibbon. Gibbon’s Decline and Fall. I could pour scorn on the poor student who referred to it as The Rise and Fall of the Roman Empire. I have rolled my eyes when people parrot some feature of Rome and then connect it with modern America and then conclude that we are certain to fall. To make matters worse, I have numerous copies of the book. Note this: Decline and Fall was a six-volume work. Many editions combine it into one, two, or three volumes. Many editions are abridgements. One of the many books where Dawson discusses Gibbon. 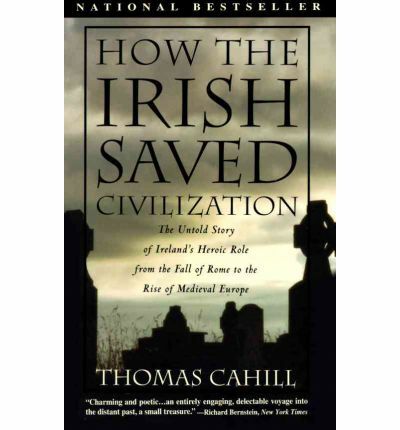 The other historian is Thomas Cahill and the book is How The Irish Saved Civilization. 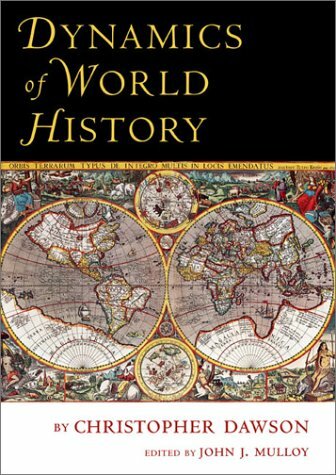 We read this outstanding book in my Medieval Humanities classes (which will begin this year on August 29). 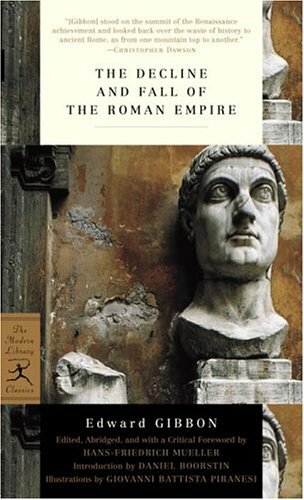 Chapter 1 is titled “How the Empire Fell and Why.” Gibbon blamed (or credited) the Christians for precipitating or furthering the fall of Rome. Gibbon himself was a lapsed Christian. Raised in a Calvinistic home, he flirted briefly with Roman Catholicism, but basically became a skeptic. He was, by the way, a historian by hobby and was by profession a politician and a member of Parliament. Cahill’s book is largely devoted to the work of the Irish, such as Patrick, but we often forget or never knew that Patrick was living during the latter years of the Roman Empire. As its influence receded from Britain, Patrick and later others faced the daunting task of filling in the cultural, moral, spiritual, and political vacuum. 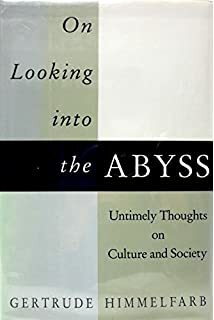 This book is one of my all time favorites, but it did not shame me–during the past 5 readings into picking up Gibbon. If I get far enough into reading the paperback edition, I might count myself worthy of reading from the nicer edition. Like many classic and older works, Gibbon’s work has been reprinted numerous times in a large number of formats. Gibbon is a founding father and influence on the writing of history. History is now a profession, but it was not such when he wrote. He has influenced many of us who have not read him, but who embrace the Muse Clio (especially after the was converted and baptized by Augustine and Eusebius). Gibbon is a master stylist. He is not writing technical history. He is writing before the days of footnotes and peer reviews. He was a man of the Enlightenment era with a writing style as verbous and multifluous as the best of writers in his age. He is not simply writing chronologies or a fact sheet on Roman history. He writes a story, filled with descriptions and details. The Decline and Fall of the Roman Empire is not just about events that led to Romulus Augustulus’ resignation as emperor and putting a “Closed–Out of Business” sign on the office door of the Roman Empire in 476 A.D. Gibbon’s work extends all the way up to and through the Crusades. For that reason, the book is quite suited for my upcoming year of teaching about the time period from circa. 100 A.D. to 1500 A.D. The book is huge in more ways than one. Of course, scholars debate, dispute, and reject much that he wrote. But he set the bar and the battle for the meaning of history has been waged now for more than 2 centuries. Side Note: The first of the six volumes of The Decline and Fall was published in 1776, which was the same year that Adam Smith published The Wealth of Nations and something or other happened in America. I hope to update the progress in this book. Being on page 38 right now has me quite excited about the prospects. 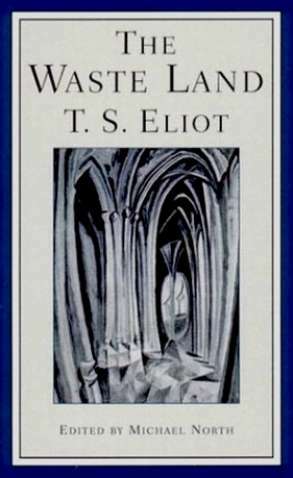 This morning, I read T. S. Eliot’s poem “The Waste Land.” It has been quite a while since I last read it, and it was back in my college days when I took some time to study it in detail. Unfortunately, that study was not directed by my American literature teacher. As she noted, teachers of American literature skip Eliot because he emigrated to England and stayed there. British literature teachers skip him because he is American born. I think that when he is skipped over, it is because of the obscurity and difficulty of his poetry. Reading Eliot, one sees how seemingly easy it is to splash words on a page in random order with little meaning and obscure references. We can then call our word jumbles “poetry.” The older poetic discipline that called for meter and rhyme is much harder to follow and master. But interpreting modern poetry as random word placement and specifically assuming that Eliot was just writing in a chaotic, meaningless way is wrong. There is much more method than madness. The edition of “The Waste Land” that I was reading was laden with footnotes explaining the literary references. I ignored the footnotes and just read the poem. But I plan on going back through it once or twice with careful attention to the allusions and literary references. One thing is very clear: Eliot was deeply grounded in the poetic, literary, historical, and philosophical traditions of the West. He was classically schooled and his poetry were applications of classical learning. To read Eliot profitably, one must follow the footnote trail, but also go to the sources and ferret out the meanings. For more on Eliot, one should consult the Norton Critical Edition of his poem. It is hard to imagine that a single poem would merit a whole book, until the serious study begins. Along with the background and interpretive aspects of the poem, one has to account for the way Eliot influenced so many other 20th century writers. Faulkner, Hemingway, and Fitzgerald were all influenced by Eliot, as were many others. Far from being depressing, looking into the Abyss of culture and society is vital for the Christian in order to have a rightly placed hope. Fourth, I recently read Camus’ novel The Plague. Dr. Roslyn Knudson, one of my teachers from college, told me that she considered it to be one of the best novels of the 20th century. It is a knock-out punch, and I don’t expect to give it a check mark for being “read” after one reading. This copy of The Plague, after being orphaned, made an incredible journey from Alabama to Texarkana to find its new home. All this and more drew me into Camus’ Christian Metaphysics and Neoplatonism. Whereas The Plague was understandable on a couple of levels but still open for deeper reading, Christian Metaphysics was a fall into the deep end of the pool. The text itself is relatively short, and thankfully, the book has both an introduction and a epilogue to give some aids to its importance. Several things are obvious: The world is a world of ideas as much or more so than matter. Understanding the world apart from concepts like philosophy and worldviews is impossible. Grappling with ideas, philosophy, and worldviews is really difficult. Add this to the mix: We don’t really understand all of the intellectual recipe that was used in the forming of our own minds and culture. Neoplatonism, and its roots in Platonism, which of course leads directly to Plato, his teacher Socrates, and his student Aristotle, was, is, and continues to be a major force in thinking. All actions, by the way, are the result of putting thought into movement. 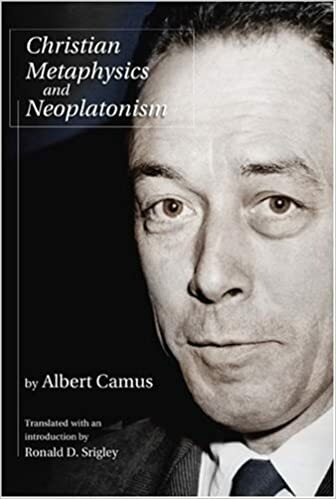 All this is to reinforce the importance of Camus’ Christian Metaphysics as a part of what Mortimer Adler called the Great Conversation. Now, enter Augustine. Camus devoted his final chapter to Augustine. From that let me jump over to a new book about the great North African theologian/philosopher himself: The Conversion and Therapy of Desire: Augustine’s Theology of Desire in the Cassiciacum Dialogues by Mark J. Boone. This book is published by Wipf and Stock, an inexhaustible source of scholarly books. Stage One: Augustine’s biography. Whether it is told in a short chapter or complete book, Augustine’s life and conversion are interesting, uplifting, and instructive reading. Not all theologians, preachers, and philosophers live interesting lives. From an earthly perspective, not all conversions are fascinating. Augustine’s life and conversion parallels and even exceeds that of C. S. Lewis. Both were born into Christian environments, became unbelievers, traveled the world of books and ideas, fell victim to various sins, and then were converted–both mind and soul–in their mature adulthood. Both then went on to write and teach extensively. 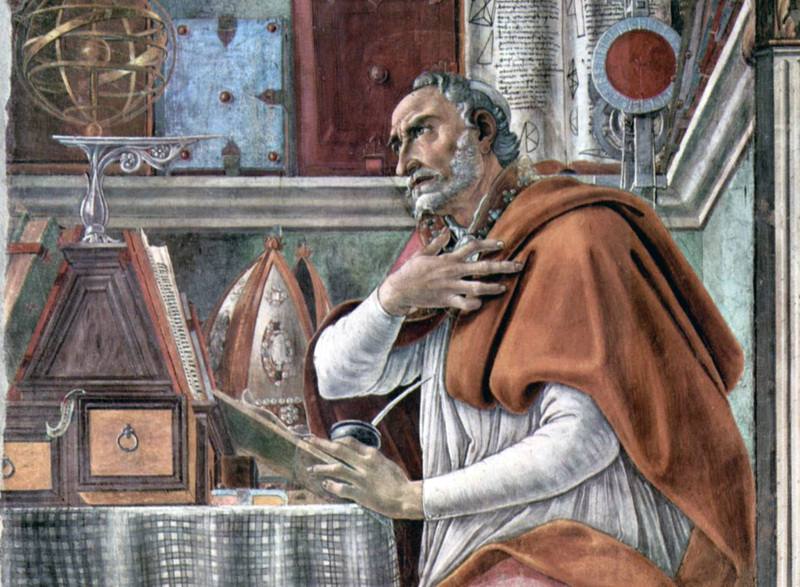 Augustine was both a brainy, nerdy, bookish guy. Living in a time of no computer geeks, he was a philosophy geek. But he was also a party animal. He had an illegitimate son to prove the he lived a life that included more than just weighty tomes rolled up in scrolls. He had a mother, named Monica, who was, to be honest, a religious fanatic. (His dad was either not a believer or very nominal and somewhat passive.) Augustine was a momma’s boy and Monica was a helicopter mom. But Monica prayed–and nagged–and prayed some more. Augustine was converted, became a bishop, pastor, church leader, and turned his rhetorical skills (he had been a rhetoric teacher prior to conversion) to the pulpit and pen. Augustine’s life for scholars and serious readers. Peter Brown’s biography has been reprinted and published in several versions. The second stage of understanding Augustine is reading his works. The sheer volume of works is itself daunting, and many them are quite lengthy by themselves. I recommend reading The Confessions. This work is relatively short, and it is the founding work in the area of religious autobiographies. The details of Augustine’s pre-conversion life (warning: it contains a graphic description of stealing pears!) and conversion form much of the book. It is also an interior dialogue, almost a stream-of-consciousness style of work. Augustine talks to God, remembers his sins, struggles with all manner of issues, and seeks to escape God. It is weighty, fruitful, inspiring, confusing, meandering, and very profitable to the soul. Even if one only makes it about half-way into this book, it will be worth the time and effort. 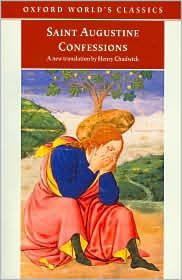 This is a good edition of Augustine’s Confessions, in spite of the really awful cover art. Note the pear tree in the background. I also really like Augustine’s On Christian Teaching, which is sometimes titled On Christian Doctrine. This book is an essential book for teachers, teachers in Christian education, teachers of rhetoric, and teachers in Classical Christian schools. Everyone not described there could benefit as well. This is a fine edition of Augustine work on education. Again, it is flawed by a very Medieval-to-Renaissance Roman Catholic view of Augustine’s duds and headwear. 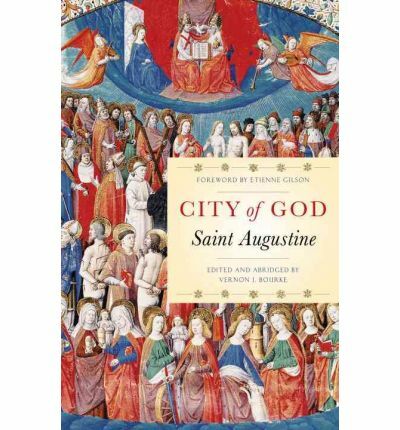 The City of God could be called Mount Augustine. It is a massive climb. I use the edition that was edited and abridged by Vernon J. Bourke, which also contains a great forward by Etienne Gilson. In my classes, I call this edition a pamphlett because it is a mere 600 pages. Even if the reader can only wade through a hundred pages or so, it is worthwhile to at least taste this book. Level 3 of Augustine: Re-enter Dr. Mark Boone and his study of Augustine. At this point, I am still in the beginning portion of this book. The third level of Augustine studies involves scholars and students discussing the ideas and impact of Augustine. Mark Boone, Albert Camus, and a host of others have been discussing Augustine ever since City of God made the Rome Times best-seller list. For me, that sentence is a hook. Not only do we all need to know how Augustine borrowed from, culled from, gleaned from neo-Platonism, but we need to learn to do the same with every other deformed, warped, humanistic thought system that has marched onto the human stage. Hopefully, there will be more to come on this fine book. I like the fact that this often-used depiction of Augustine captures both his scholarly bent and the possibility that he is feeling a bit of heart-burn after lunch. I really wish I could find a depiction of the man that humanized him a bit more.